PERRAULT, JOSEPH-FRANÇOIS, businessman, educator, writer, office holder, politician, journalist, and philanthropist; b. 2 June 1753 at Quebec, son of Louis Perrault and Josephte Baby; m. 7 Jan. 1783 Ursule Macarty in Montreal, and they had 12 children; d. 5 April 1844 at Quebec. Joseph-François Perrault came from a family of merchants. His father and both his grandfathers, François Perrault* and Raymond Baby, engaged in the fur trade, as did a good many of his uncles, including François Baby* and Jacques Baby*, dit Dupéront. 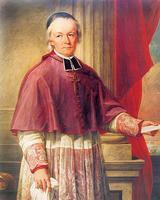 The only one of them not in trade, Canon Joseph-François Perrault, was his godfather. The end of the French régime proved a difficult time for his family. His father and several of his uncles fled to Trois-Rivières during the siege of Quebec in 1759. There, three years later, Joseph-François lost his mother, who left eight children, the eldest not yet 11. His father returned to Quebec in 1763 and went to France to see about furs he had sent to La Rochelle; he placed the children in the care of his brother Jacques Perrault*, known as Perrault l’aîné, and sister-in-law Charlotte Boucher de Boucherville. The children were sent as boarders to the Ursulines and the seminary in Quebec, and thus received the upbringing and education characteristic of these institutions. Joseph-François began his studies at the Petit Séminaire on 11 Oct. 1765. He definitely spent six years there, since he was in Rhetoric in 1770–71, and he probably did the first half of the two-year Philosophy program. But Joson, as he was called, did not have time to complete his schooling. His father, who had decided to settle in Louisiana, sent for his children. Joseph-François left Quebec by ship on 24 June 1772 with two of his brothers and his three sisters. After a voyage dogged by mishap, they reached New Orleans in January 1773. They were initiated into a new society and were rather shocked by its exotic manners. Joseph-François thought that the children of the Creole families were dissolute, ignorant, and lazy, but that the French were educated and well bred. To pass the time he worked without pay for a New Orleans merchant from Bordeaux, France. Because Louis Perrault had been detained by his business at St Louis, Mo., he had not been able to greet his children upon their arrival. When in the spring of 1773 he asked Joseph-François to join him, the young man travelled up the Mississippi with Pierre de Rastel de Rocheblave’s father, Philippe-François. On reaching St Louis he set to work with extraordinary energy, running the business in his father’s absence, learning Spanish, and even acting as French secretary to the governor of Spanish Louisiana. He became attached to this far-away corner of the world and got to know the Indians and the merchants, Canadian, French, British, and American. Political events were to change the course of Perrault’s life. When the American revolution reached the settled part of the Mississippi country, Canadians there were torn between the two warring sides. In 1779 Perrault set off for Virginia, by way of the Mississippi and the Ohio, to collect the money that American officer George Rogers Clark owed his father; he was never to see his father again. Perrault’s flotilla was attacked on 4 October by Indians allied with the British. He was captured and then taken to Detroit, where he arrived on 3 Nov. 1779. After a trip marked by suffering and privation, his survival hinging on his good physical condition and luck, he was welcomed by his uncle Baby, dit Dupéront. While waiting for permission to return to St Louis, he spent several months recovering his health. True to character, he found ways to occupy himself, teaching his cousins and studying bookkeeping from works in his uncle’s library. He left Detroit in May 1780 and reached Montreal early in the summer. Then in July he went to Quebec, where he passed some weeks with his Perrault and Baby uncles and aunts. Setting off again on 30 August, he stayed in Montreal for a while and was back in Detroit by autumn. Because it was too dangerous to travel to St Louis, he again accepted the hospitality of Baby, dit Dupéront, and resumed his work as tutor for the winter. In 1781 Baby made him his agent in Montreal and lent him £750 to go into business for himself. It was in Montreal that, after being romantically involved with a Mlle Gamelin and making plans for marriage with Marie-Appolline Bailly de Messein (who later became the wife of Eustache-Ignace Trottier* Desrivières Beaubien), Joseph-François on 7 Jan. 1783 married his cousin Ursule Macarty. He had met Ursule, the daughter of a fur trader, in the Illinois country. At the time of the marriage she was 16 and he 29. Four months later his father died. He went to Virginia the following year to try once more to recover the money advanced to Clark, but in vain. Returning to Montreal, Perrault gave his attention to his retail business, but as the competition was too intense, he had to give it up in 1787. He then taught bookkeeping, translated legal works, and prepared factums for private individuals; he also went into the theatrical business with Louis Dulongpré and Pierre-Amable De Bonne*. 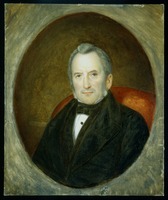 In 1790 he started articling with lawyer Pierre Mézières while continuing with the numerous activities that enabled him to support his family. From time to time he wrote to Quebec, soliciting a position from the governor. In 1794, at the end of his resources and, with the death of Mézières, unable to complete his articling after five years, he presented a petition to the House of Assembly for permission to practise law none the less. A bill to this effect was brought in but did not pass. 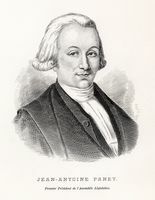 In 1795, however, through the good offices of his friend judge De Bonne, Perrault was appointed clerk of the peace and protonotary at the Court of King’s Bench at Quebec. A new life lay before him. Now settled at Quebec, Perrault distinguished himself by his zeal and his capacity for work. Soon he added to his two offices the post of keeper of the registers of baptisms, marriages, and burials for the district of Quebec. 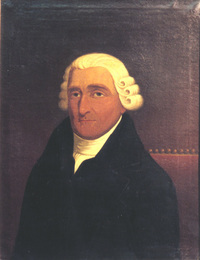 In July 1796 he was elected to the House of Assembly for Huntingdon. But he was seldom in the house, most of his time being devoted to his numerous administrative tasks. Things seemed to be going well for Perrault – he had bought a property called the Asile Champêtre on the north side of the Chemin Saint-Louis. Then on 23 April 1800 he suffered the loss of his wife. Perrault was re-elected to the assembly that year, and this time he took an active part in its affairs. 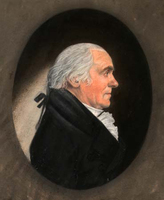 In 1801 he introduced an education bill to counter the one to establish the Royal Institution for the Advancement of Learning then under discussion. His bill was defeated, and the house resumed debating the bill on the Royal Institution, which it passed. 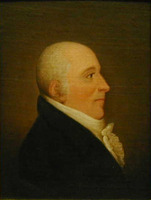 Perrault worked on seven committees in 1801; one of these prepared an initial plan for houses of correction in the various districts, and he collaborated on a second plan the following year. 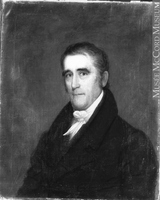 Even though he distinguished himself in the assembly, he was defeated in the 1804 elections. Since the government had not implemented the committee’s recommendations concerning houses of correction, Perrault took the matter up again and proposed a plan for a reformatory that would also engage in farming for the inmates’ subsistence. In 1807 he took part in a violent controversy with Pierre-Stanislas Bédard* in the Quebec Gazette. It was ostensibly about the appointing of militia officers, but actually stemmed from the fact that Perrault was sympathetic to the colony’s British administration and Bédard was opposed to it. In 1808 Perrault again ran in Huntingdon, with no greater success. This time he had to face the opposition of Le Canadien, which called him a “dangerous individual for the government and the Canadians” and a “tool” of De Bonne. Perrault went so far as to participate in demonstrations in the streets of Quebec and to fight with the supporters of Jean-Antoine Panet*, who in the end won the seat. He met with defeat again in the 1810 elections, this time in Quebec County. In expressing thanks to his supporters, he denounced “the congreganists, sacristans, and beadles of the roman catholic churches,” who, he said, had voted against him, whereas “the members and servants of the Protestant churches” had supported him. All the efforts Perrault had made in the field of education since 1801 were suddenly to bear fruit. In 1821, for example, the Education Society of the District of Quebec was founded by a group he organized and he was elected president. This society was created to secure free education for the town’s destitute children, reportedly nearly a thousand in number. 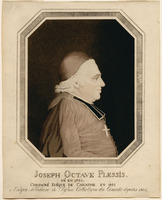 Lord Dalhousie [Ramsay], Bishop Joseph-Octave Plessis*, the clergy, and many other Quebec leaders had lent him their support. A public subscription was organized and the directors of the association asked the House of Assembly for a grant, which it continued to accord until 1846. The school opened with 90 children, and by 1833 it had 415 Canadian and Irish girls and boys. In 1823 Perrault founded and served on the board of another association for poor children, the British and Canadian School Society of the District of Quebec, which made no provision for instruction in religion other than readings from the Bible on Saturdays. The school opened on Rue des Glacis, in the faubourg Saint-Jean, but was later moved to the faubourg Saint-Roch. In 1837 it was reported to have taken in since its inception 2,360 children of both sexes and trained 46 school teachers competent to teach using the system developed by Joseph Lancaster, of which Perrault had become a most enthusiastic proponent. In organizing free schools for poor children he had used this monitorial system of teaching. Perrault’s leadership in the two educational associations from September 1823 must have created difficulties for him with both French- and English-speaking colleagues. And he had against him Bishop Jean-Jacques Lartigue, who liked neither the Royal Institution, nor the school of the British and Canadian Society – the “Bible school,” as he called it – nor Lancaster’s system. 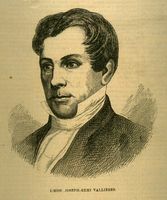 Perrault quit the Education Society of the District of Quebec in 1825, and three years later handed in his resignation to the other society as well. He then advanced another educational plan. In 1829 he built a school for boys in the faubourg Saint-Louis. It was blessed on 29 April 1830 and opened its doors to 229 children, 169 being Canadian and 60 Irish. Next he built a school for girls near by. The primary course depended upon monitorial instruction, with two teachers in each school, a man and a woman, who were helped by senior students of both sexes. In addition Perrault wanted to give children in his establishments practical training: for the boys this meant farming, for the girls lessons in spinning, weaving, and knitting. He had even considered developing a normal school in the two institutions, and he offered religious instruction only to those who requested it. In 1832 he founded a practical school of agriculture, located on the Rivière Saint-Charles, and entrusted its administration to Amury Girod. He wanted to add a normal school to it, but had to close the establishment after a year since the cost was far beyond his means. In the same period he developed what amounted to a plan for organizing a school system for Lower Canada, which he published in the Quebec Gazette on 3 Oct. 1833. This system roused all right-thinking people against him, with Bishop Lartigue at their head, since he was preaching free, compulsory schooling for all. 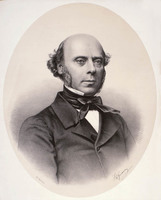 In April 1836, after a bill to set up normal schools at Quebec and Montreal was passed, Perrault offered his services to the management committee of the École Normale de Québec, but his offer was not taken up. The following year he had to close his two schools in the faubourg Saint-Louis, since he no longer had the means to keep them open and the assembly had terminated its grants to him. An enigmatic person, Perrault. He had had his share of personal trials, but he was an exemplary father and grandfather and a citizen who could be counted upon, one who could never refuse a request and gave his friends his money and his help. In his private life Perrault was kind and affectionate, but he had acquired an odd life-style. Rising at 4 or 5 a.m., depending on the season, he would write for three or four hours before leaving for the court-house, where his punctuality was proverbial. As protonotary, he had developed orderly work habits that lawyers had to follow to the letter. He apparently reserved for the court-house his moodiness and his at times somewhat violent manner of speaking; at other times he could engage in repartee full of finesse and humour. He would go home at noon to eat and devoted his afternoons and evenings to personal affairs, visiting the schools, drafting texts, receiving friends, and going to bed invariably at 9 o’clock. Having been appointed to public office through the help of his friend De Bonne, who was outspoken in his support of the English party, Perrault in some ways was captive to circumstance, and from 1795 he sided with that party. In the autumn of 1806 he, De Bonne, and Jacques Labrie* established Le Courier de Québec, a bi-weekly newspaper bitterly opposed to the Canadian party and its paper Le Canadien. Perrault contributed to Le Courier de Québec until it ceased publication in December 1808. When Le Vrai Canadien was founded at Quebec in 1810, Perrault participated in it. This extremely pro-government paper lasted one year. But in the 1830s Perrault seems to have been on the side of the moderates, even proposing reforms in a pamphlet entitled Moyens de conserver nos institutions, notre langue et nos lois, published at Quebec in 1832. He did not, however, countenance taking up arms. 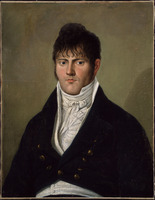 Grandfather Perrault, as he was already being called around 1820, was one of the leading citizens at Quebec. He was a practising Catholic who neglected none of his duties as a Christian and saw to it that his family circle followed his example. At the same time, in his school plans and projects he was an avowed advocate of non-sectarianism. 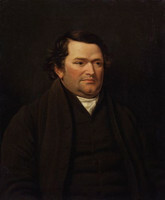 His contribution in money and personal efforts to the cause of education between 1820 and 1837 shows that he was a philanthropist in the true sense of the word in his time. This philanthropy was assuredly inspired by love for his country, but also by the ideal he had conceived of bringing together the major groups developing in Lower Canada: Canadians, English, Scots, and Irish, Catholics and Protestants. His membership in freemasonry, which none of his biographers mention, could explain his zeal in promoting education of the poor. Recognized as the father of education for the Canadian people, a title bestowed upon him in the Journal de Québec’s obituary, he has also been associated with the origins of secular education by biographer Jean-Jacques Jolois. Jolois goes on to say that Perrault did not belong to his time. But even if he was not understood or accepted by his contemporaries, he was one of the most active participants in the public, political, social, and educational life of Lower Canada. He remained extraordinarily active until the day before his death, on 5 April 1844 in his sleep. 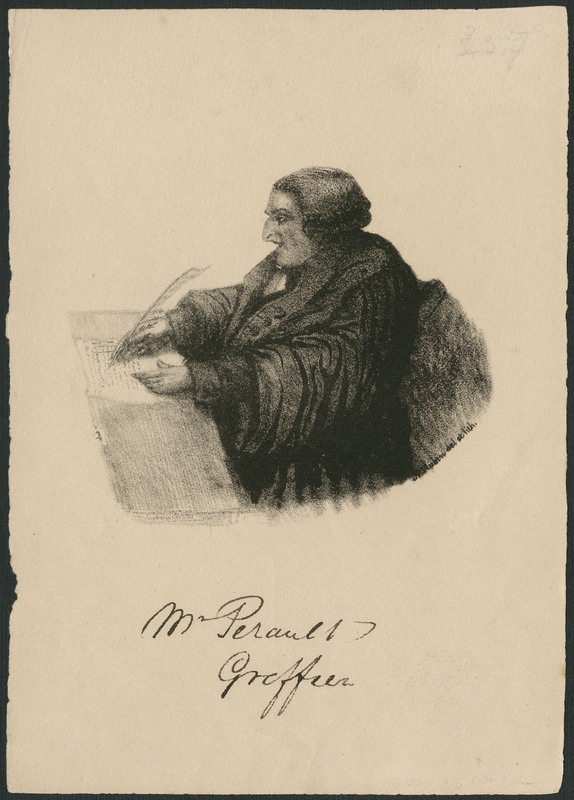 [There are Joseph-François Perrault papers at ANQ-Q, P1000-79-1623; the collection consists of letters received by Perrault in the autumn of 1833. ANQ-M, CE1-51, 7 janv. 1783. ANQ-Q, CE1-1, 2 juin 1753, 8 avril 1844. ASQ, Fichier des anciens; mss, 104–10. L.C., House of Assembly, Journaux, 1793–94: 225–27, 293; 1795: 186, 218–20; 1801: 280. “Quatre lettres inédites de Joseph-François Perrault,” L.-P. Cormier, édit., Rev. de l’univ. Laval (Québec), 17 (1962–63): 508–19. Le Canadien, mai–juin 1808. Le Journal de Québec, 9, 11 avril 1844. Quebec Gazette, 14 May 1795; 16 Oct. 1806; 10, 17, 24 Sept., 1 Oct. 1807; 7 July 1808. Hare et Wallot, Les imprimés dans le Bas-Canada. L.–P. Audet, Le système scolaire, 3: 57–61; 5: 79–80; 6: 194–236. Prosper Bender, Old and new Canada, 1753–1844: historic scenes and social pictures or the life of Joseph-François Perrault (Montreal, 1882). P-B. Casgrain, La vie de Joseph-François Perrault, surnommé le père de l’éducation du peuple canadien (Québec, 1898). M.-A. Perron, Un grand éducateur agricole: Édouard-A. Barnard, 1835–1898; essai historique sur l’agriculture de 1760 à 1900 ([Montréal], 1955). 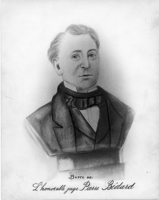 J.-E. Boucher, “The father of Canadian education, J.-F.-X. Perrault, deputy gd. master Lower Canada G.L. ; a talk before the Masonic Study Club,” Masonic Light (Huntingdon, Que. ), 3 (1949): 76–84, 105–6. P.-B. Casgrain, “Joseph-François Perrault,” BRH, 5 (1899): 175–76; “Nos institutions, notre langue et nos lois,” BRH, 4 (1898): 181–82. Marine Leland, “Joseph-François Perrault: années de jeunesse, 1753–1783,” Rev. de l’univ. Laval, 13 (1958–59): 107–15, 212–25, 417–28, 529–34, 630–39, 689–99, 804–20. 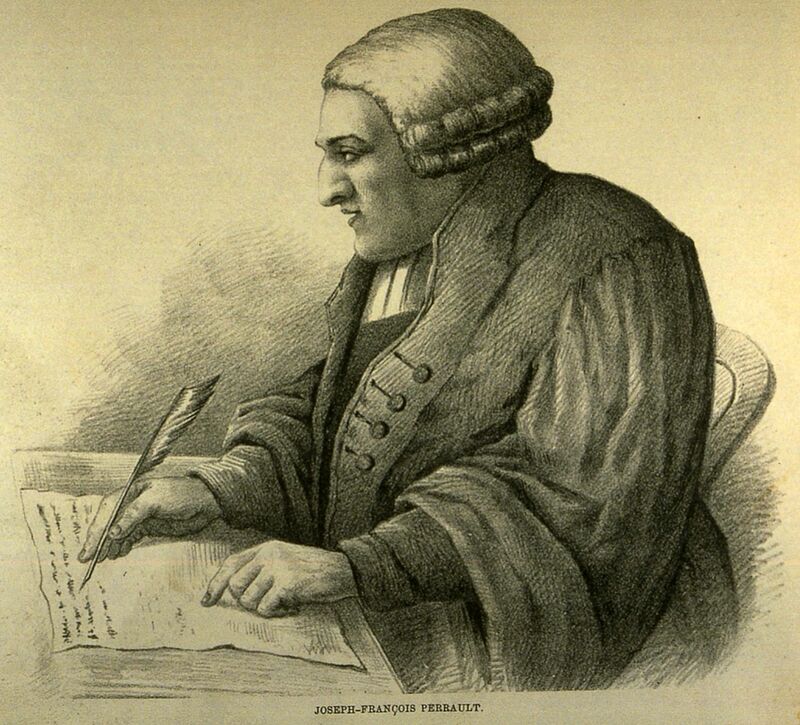 Claude Galarneau, “PERRAULT, JOSEPH-FRANÇOIS,” in Dictionary of Canadian Biography, vol. 7, University of Toronto/Université Laval, 2003–, accessed April 26, 2019, http://www.biographi.ca/en/bio/perrault_joseph_francois_7E.html.